Kangertech PGOCC coil is designed for Kanger PANGU tank. You can replace the coil without touching e-juice. 5pcs each pack. Get them for your PANGU. Caution: Must prim the coil for each air hole, drip 2 drops of e-juice. Wait 30 seconds before vape. • It's for Kanger PANGU Tank. 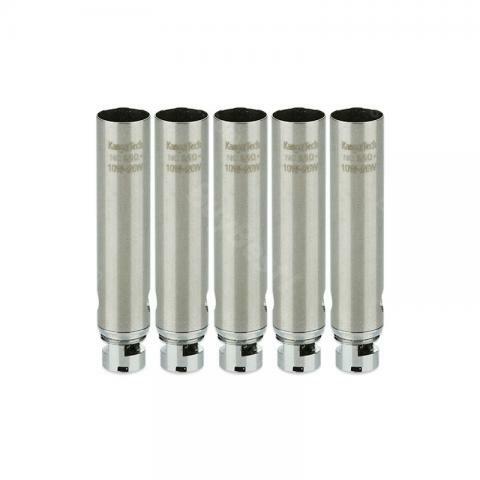 Kangertech PGOCC Coil is a 5pcs per pack designed for Kanger PANGU tank. With three varying resistances available, NiCr 1.5ohm, SUS316L 0.5ohm and NiCr 1.0ohm.